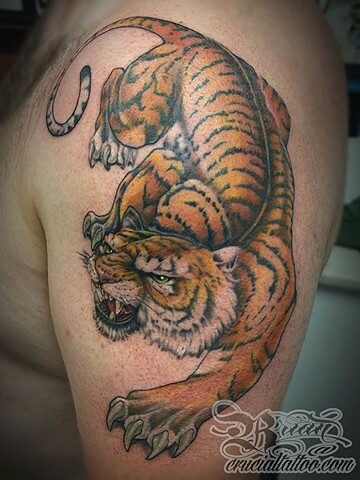 An Asian inspired tiger, arm piece. Really enjoyed doing this piece. If your in the Salisbury,Ocean City Maryland area stop into Crucial Tattoo Studio and lets see if we can get something new started! Also you can email me at: brian@crucialtattoo.com to set up a project of your own!